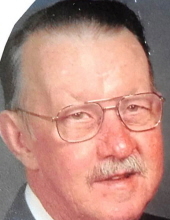 Charles A. Irvin, 88, of the Zanesville area nearly his entire life, died January 12, 2019. He was born October 16, 1930 to Harry V. and Hazel B. (Loughman) Irvin and grew up in Gratiot and Zanesville. He had an older sister, Virginia Mae (born 1925), who preceded him in death in March 2007. Hazel died in 1949; Harry in 1958. Charles's life reflected many interests and devotions. After graduating from Zanesville Lash High School in 1948, he attended Howe Military School in Indiana for one year and then graduated from Bliss Business College in Columbus, Ohio, in 1951. That year, he was drafted into the U.S. Army, serving from November 1951 to October 1953. He was a high-speed radio operator for the U.S. Army Signal Corps during the Korean War. After Camp Gordon, Georgia, and radio school graduation there, he shipped to Korea and served near combat theaters in 1952-1953. In his early adult years he worked for about a decade in his father's dairy business, Irvin Meadowgold Dairy, a well-known business in Zanesville. In 1955 he met Helen Arlene Irvin; they married December 23, 1956. In the mid-1960s, he went to Western-Southern Life Insurance, where he worked for a quarter-century, retiring in 1992. He made many sales milestones during that time. In his later years, he sold men's clothing at J.C. Penney and Elder-Beerman in Colony Square Mall. Those were the jobs he held, but Charles was much more. He was an amazing grandfather-"Pappy" to all-doting on his grandchildren and protecting them fiercely. His children remember him as "Charlie"-the guy who seemed to know everyone around town, and vice versa. He had a passion for sports-Ohio State, Cincinnati Reds, and more-and was a faithful member of the Zanesville Tip-Off Club basketball booster group, attending a majority of games every winter in the 1990s and 2000s. He and Arlene attended Coburn United Methodist Church for decades. He was also a Mason. Most of all, he was there for his children and grandchildren at every need. He and Arlene lived on Pfeifer Drive in Zanesville for 52 years, followed by three years at Primrose Senior Living in Zanesville and the last two and one half years at Brookdale Senior Living in Dublin. The family wishes to thank the wonderful nurses and aides in the Clare Bridge unit at Brookdale, and the compassionate Brookdale Hospice nurses. He is survived by his wife, Helen Arlene (1932); daughter Bonnie (Joseph) O'Neil and son Robert (Joan) Irvin; son-in-law David Weidig; and seven grandchildren, Lydia Irvin, Megan (Michael) Hughett, Emily O'Neil, Mary Weidig, Eric O'Neil, Jillian Irvin, and Joel Irvin; and many loving nieces and nephews. In addition to his parents and sister, he was preceded in death by daughter Elizabeth Irvin Weidig (2009); infant granddaughter Adrienne Leigh Irvin (1998); and Virginia's husband Ralph Muse, best man at his wedding, who passed away at 95 in 2017. Friends and family may call from 11-1 on Wednesday, Jan. 16 at Coburn United Methodist Church, 3618 Maple Avenue, Zanesville, with services held there at 1 p.m., Pastor Justin Williams officiating. He will be laid to rest at Zanesville Memorial Park Cemetery, Zanesville, where full military honors will be accorded to him by the United States Army in conjuction with the VFW George Selsam and the American Legion Post 29. All arrangements are being handled by BOLIN-DIERKES FUNERAL HOME, 1271 BLUE AVENUE, ZANESVILLE, OHIO. To send a note of condolence, or to send flowers: visit www.bolin-dierkesfuneralhome.com, find Bolin-Dierkes on Facebook, or call our staff at (740) 452-4551.